On Thursday, I attended a lecture by Charles Nelson, Ph.D., who is a professor of Pediatrics at Harvard Medical School and affiliated with the work of the Center on the Developing Child. He is a researcher who has done pivotal studies on brain development in relation to institutionalization in early childhood (Bos K, Zeanah C, Fox N, Drury S, McLaughlin K, & Nelson C, Psychiatric outcomes in young children with a history of institutionalization, Harvard Review of Psychiatry, January/February, 2011, pp. 15-24; Fox S, Levitt P, & Nelson C, How the timing and quality of early experiences influences the development of brain architecture, Child Development, January/February, 2010, Vol. 81, Number 1, pp. 28-40). I was impressed not only by the quality of the research, but also by Chuck Nelson’s commitment to using his research to achieve such important humanitarian goals. It is clear that he really cares about protecting the potential of young children living in circumstances devastating to their healthy development. My friends were arguing that there was nothing I could do, that “the pendulum swings” are large, and one will have to wait for the changes in reunification to be modified over time. They said, “Surely you agree that the bad orphanages are worse than any alternative!” I said I did agree bad orphanages were terrible, but that what was getting lost in the reunification initiative was the uniqueness of the societies and cultures of the children themselves and the specificity of the institutions that had arisen in those societies – the whole idea of “one size fits all”, which is an essentially reductive perspective. It was an enjoyable discussion in which everyone listened respectfully to everyone else, and my friends insisted, “we all agreed” on the basics. They told me that I wasn’t a politician, and it would be immensely hard to try to make any change on that level. I had been thinking of all the other things I am involved in – all related to children and families, but in different venues – and I began to feel tired. Then I thought of the children in El Salvador that I knew. I thought of the heroic efforts of the children’s home to support the families in the community, and I felt inspired. I though of the previously academically successful, robust, beloved in the home, little boy who has recently been seen begging in the streets at midnight after reunification. I thought of the difference between the two approaches – the larger “systems” approach, and the “one starfish at a time” story – (In the story, a visitor encounters an old man sitting by the side of the sea taking starfish, one at a time, and throwing them back into the surf. The beach was full of stranded starfish. The visitor asked him, “Why are you taking the trouble to throw them into the sea? There are so many, and the surf will carry them all back anyway.” The old man kept picking up starfish and throwing them back into the surf one at a time. “You are correct,” he told the visitor, “But if I save one starfish, I will have done a good thing.”) and I was unsure. Wasn’t each starfish thrown back into the surf a “momento magico”? My friends have never been to El Salvador. In the last post, I promised that in each posting I would include a “magic moment” told to me by a parent, teacher, or child. Here is the “magic moment” for this post. In this loving family, a painful conflict between the parents has resulted in a sadness and hypervigilence in the two girls. In a recent family meeting, the older girl watches her parents’ faces closely, scanning for trouble, while the younger one seemingly picks up the emotional “vibes” indirectly and makes attention-getting gestures with the puppets from her position lying on the floor in the middle of the circle. I am thinking that I want to balance the openness to the expression of painful, angry feelings in the family, against the expression of hope. I don’t want to lose one or the other. As the characteristic painful pattern emerges – that of one parent feeling abandoned and devalued by the other and the second parent feeling “taken over” and marginalized by the first – I acknowledge this pattern as it occurred the night before the meeting. Then I ask for a “magic moment” in the past week. One parent identified the moment, the other agreed, and both girls enthusiastically elaborated the situation in which the younger child asked the older child for help with a puzzle, and the older one, instead of rejecting her, joined her in figuring out the problem. The entire family was enhanced by this small collaborative activity of the children. I attempted to make clear that the girls were not expected to take the parental responsibility in the family, but that this was one example of how all of them had the power to change bad habits. Every family member could partake in the positive feelings about themselves and about the family the two girls had generated. It is important to learn to recognize magic moments, because the more you recognize them, the more you will see the potential for them in an ordinary family interaction, and the more you can make them – and hope – happen. This entry was posted in Articles and tagged Charles Nelson, Kids Company, Louis Sander, orphanage, specificity on February 26, 2012 by Alexandra Harrison. In my conversation with F (names have been initialized and changed to preserve confidentiality), a member of the Leadership Team (LT), I caught up on the important subject of the court hearings for the children. The Home has received court letters regarding the children from four families so far, and the court has begun to hold hearings, which the Leadership Team from the Home has attended. Because of the new law, there is now a powerful initiative to take children out of children’s homes and return them to their biological families. LT is concerned that the families feel threatened by the courts when they hesitate to take their children back; LT thinks that the families are afraid they will be sent to prison if they don’t accept their children. At present, the court requires children to stay in a children’s home for a maximum of two years. Of course, most of the children in the Home have lived there for many years, some for most of their childhood, and the Home has offered a functional family for them – providing security, nurturing, quality education, and important relationships. Therefore, leaving the home, while in some cases allowing them to repair a rupture with their biological families, will always entail a significant loss. This entry was posted in Articles and tagged Change, Court System, orphanage, Resiliency, Reuniting on September 2, 2011 by Alexandra Harrison. In order to learn about caregiving of children in care in developing countries, our team has been visiting the orphanage of Love and Hope. As is typical in orphanages in CA, most of the children are not actually orphans but have families that are unable to care for them because of financial, mental health, or other reasons. The children all have histories of severe neglect and maltreatment. 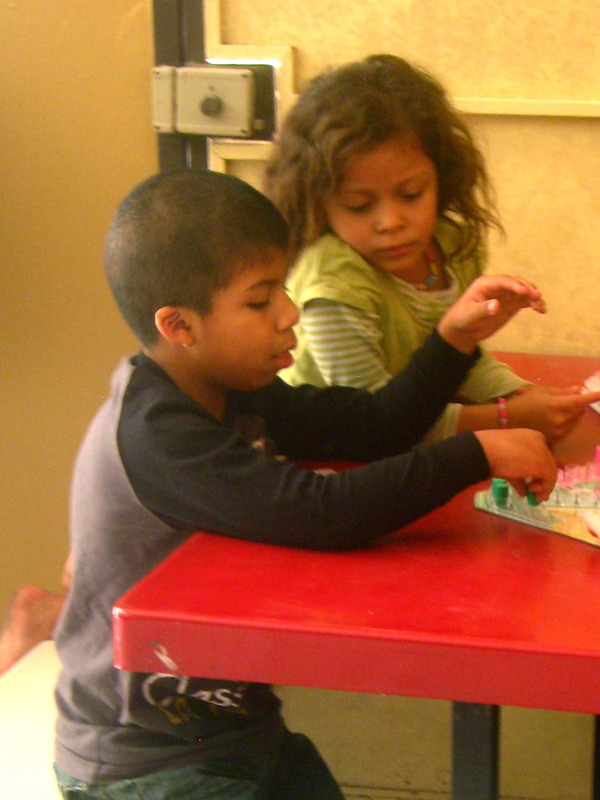 This entry was posted in Articles and tagged caregivers, Central America, orphanage, Workshop on May 25, 2011 by Alexandra Harrison.